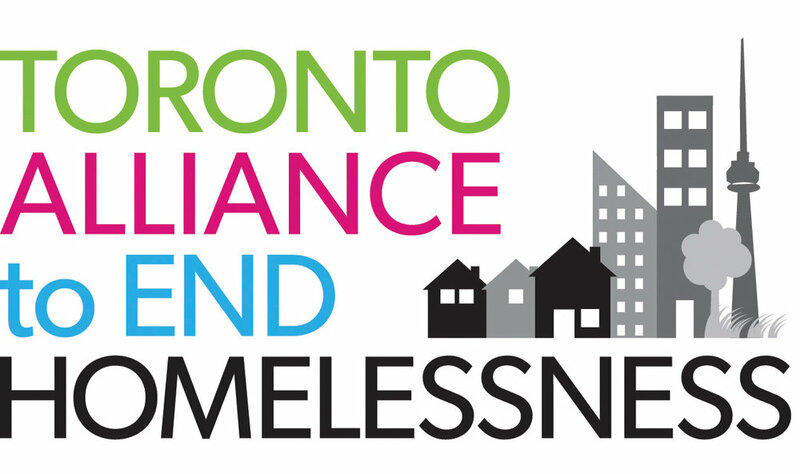 Hello and welcome to the Toronto Alliance to End Homelessness’ Rapid Housing Project page. This is a place for landlords and other housing providers to learn about the initiative and join us in our goal of ending homelessness in Toronto. The Toronto Alliance to End Homelessness (TAEH) is a collective impact initiative committed to ending homelessness in Toronto. TAEH is working with the City to quickly secure housing opportunities to offer to people who are currently staying in a Toronto shelter. This initiative is called the Rapid Housing Project. With more than 6,500 individuals and families who use the City’s shelter system on a daily basis, the City and TAEH are committed to working with landlords to help solve our homelessness crisis. We are looking for landlords to partner in this program, which gives those experiencing homelessness an opportunity to secure housing. All landlords and property managers are welcome to participate including co-ops and non-profit providers. What kinds of financial supports are provided? Eligible tenants will receive a housing subsidy of between $250 and $800 per month, depending on their base income, the rent and the program they are supported by. For singles, the target affordable rent is up to approximately $1100. for families, the maximum affordable rent varies based on the household and unit size. What kinds of additional/non-financial supports are provided to tenants? Each tenant is supported by an experienced housing worker who is employed by a City-funded agency. Support workers visit tenants a minimum of once per week, and more frequently if required, to support their transition to housing. Acquainting tenants with their new neighbourhoods. Providing referrals to support services and resources located in their new community. Ensuring tenants are aware of their tenancy responsibilities in accordance with the Residential Tenancies Act (RTA). Building skills so that tenants can stay housed over time. Promptly responding to tenancy issues if they arise. Working together with other service providers to ensure the appropriate supports are in place to meet the tenant’s needs. Landlords may receive the deposit for the tenants’ first and last month’s rent. Landlords can enter into tenancy agreements directly with tenants, or into a head lease agreement with an agency. In a head lease arrangement, landlords enter into a tenancy agreement with the support agency who then subleases to tenants. Where reductions in rent have been provided, some agencies may be able to issue charitable tax receipts for landlords participating in the program. Agency support workers will make initial contact with the landlord to assess suitability of the match. Connecting directly with landlords each month (or more frequently if required) to identify any tenancy issues that arise. Ensure tenants’ monthly rent subsidy is paid on time. Be available via phone or email on an as-needed basis if the landlord has any immediate concerns or questions. How are tenants connected to available units and supports? Housing workers in the community assist tenants to access a financial subsidy and support which is responsive to their level of need. Key housing and homelessness partner agencies deliver the supports across the city and employ professional specialized workers to support tenants. How do we assess and match tenants to the right level of support? Housing and homelessness workers complete a support assessment which each possible tenant and make a recommendation for the level of support required when they submit the referral. Based on the location of the unit, and the level of support recommended, an agency will be assigned to provide support to the tenant and the landlord. How can landlords help make the Rapid Housing Program a success? Offer flexibility on some requirements like credit checks and references. Different unit sizes and locations across the city are useful in meeting the needs and preferences of a diverse range of potential tenants. Provide details of the units available regarding location, size, accessibility, rental amounts, etc. that will help assist the matching process. Landlords can fill out the Rapid Housing Project Unit Registration Form to register units as available for the program. Please complete the entire form as the more information we have, the better we can match the unit with a tenant. From a life spent in group homes and shelters, Natasha and John found a supportive place to call home (together) through PARC. Since moving, Natasha has attended George Brown’s elite cooking school and graduated at the top of her class. John works at PARC and has maintained this job for over 4 months. Both live with schizophrenia and demonstrate the power of what a clean place to call home can do for two people with goals and determination. Junior immigrated to Canada at the age of 20 and worked several jobs. He moved in between group homes and boarding houses. Finally, the house he was in was shut down and he was transferred to a hotel with a deadline to move out at the end of the month. With CMHA and Cota working full steam, they found him a place to call home and some furniture. Junior says he feels blessed because before he had nothing - now he has a home, furniture, and is learning how to cook and clean. He feels happy and at peace. Julian* was living in a shelter for nearly two years. The experience took its toll on his mental and physical well-being. Things changed in April 2018 when Julian received housing and moved into a rental unit. The change had a profound affect on Julian’s life. "I'm happy and I am on the road to recovery," he said. Having his own home has helped Julian focus on his mental health as he receives ongoing support from his case worker as well as other mental health-related services and agencies.